My girls are very independent and can happily get lost in their own role-play games for hours. So long as I provide fresh water and some snacks from time to time, they can spend whole blocks of days lost in their small world game play – you know, where the toys in front of them are a whole world? 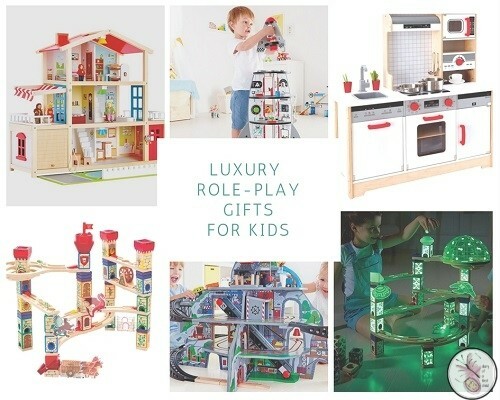 Some of their favourites for pretend play right now are a dolls house and a play kitchen, but over time there have been other favourites, like a parking garage with a vehicle lift and a wooden tree toy with platforms and swings. 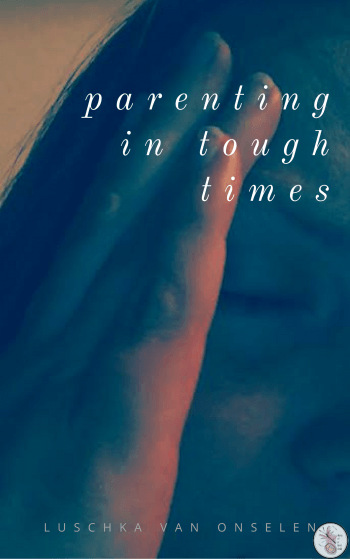 I thought I’d share some of the best luxury role-play gifts for kids that they’ll come back to again and again. Guaranteed hours of non-stop fun! 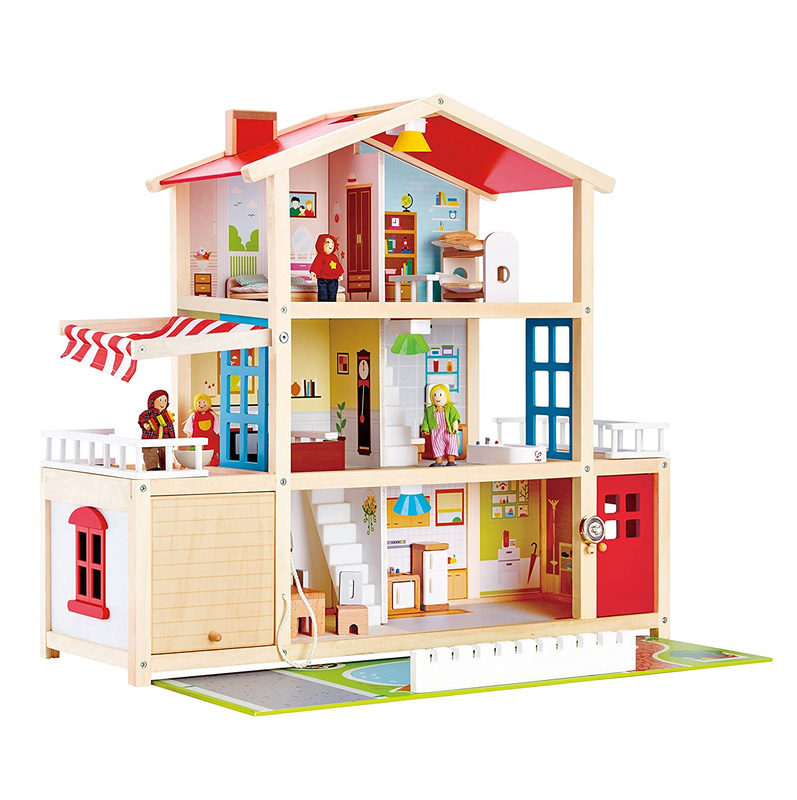 The Hape Kids Baby Doll Family House Figure Toy Pretend Play Mansion is a three story, multicolour house with included moveable lamps and door bell, and attached characters. Your kids can rearrange their furniture and act out their daily routines to make the life of the doll family more interesting. This model is suitable for children of 3 years and up. 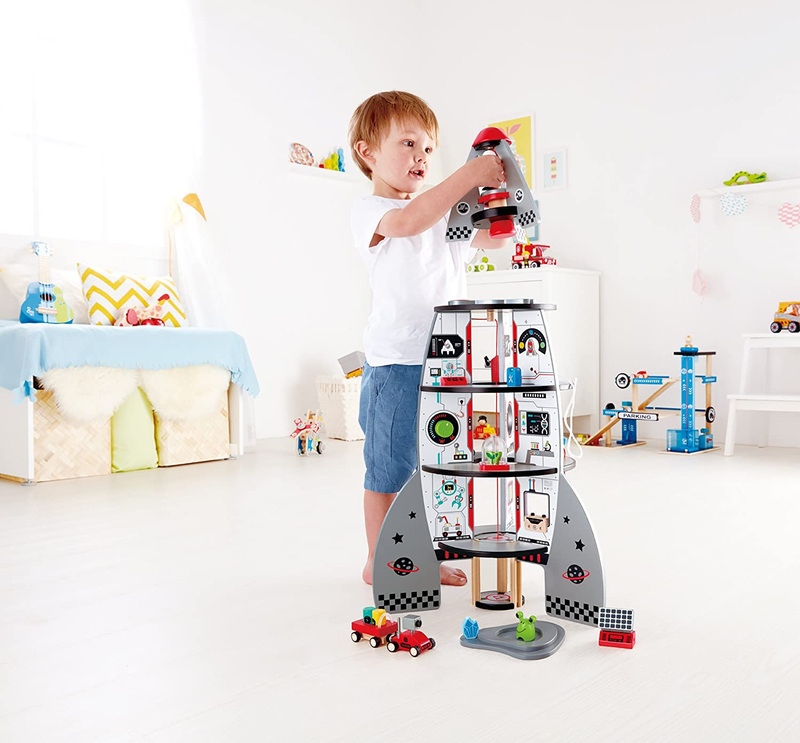 This incredible spaceship fuels your child’s imagination for hours of fun filled play. Containing four creative stages, as well as a lift-off rocket for endless exploration. Your little one can create and explore their own world, whether they’re an alien or astronaut, they are sure to love this adventure to another galaxy. The otherworldly set even includes characters to play along and share the experience with, and to make the it even more realistic, Hape have added elements such as a: treadmill, bed, working elevator, flag and multiple pieces of laboratory equipment. Protect the inhabitants of the castle from the angry Griffin with Hape’s Medieval Quest. 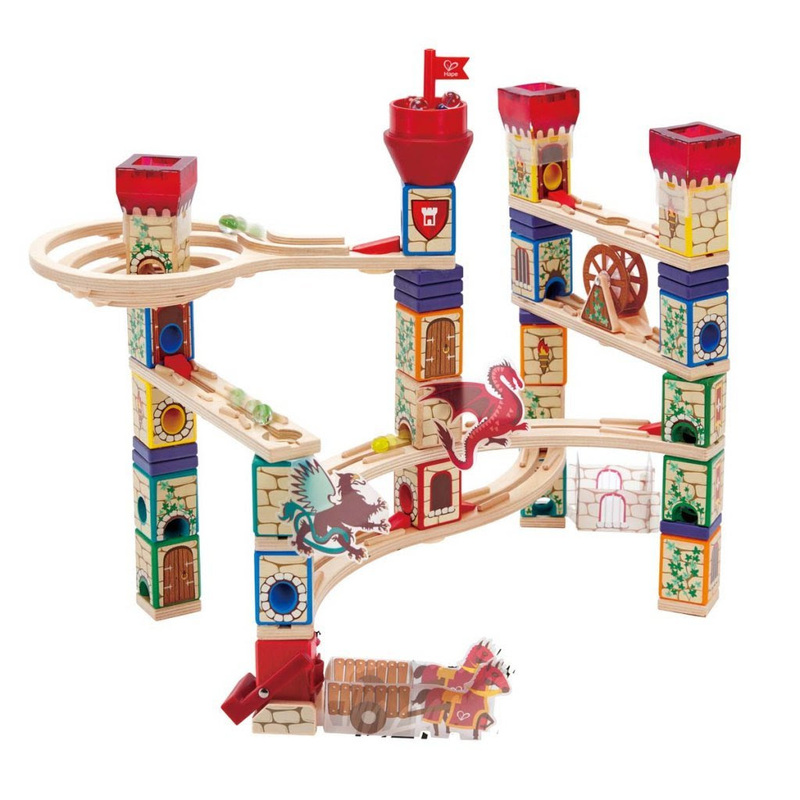 One to keep them occupied for hours, the medieval quest is a creative and imaginative marble ran adventure filled with engineering and thrill-seeking aspects, perfect for any little boy. The colourful towers help develop hand-eye coordination practically. So, set aside the tablets and apps and set your little boy up for some old-fashioned adventure time. 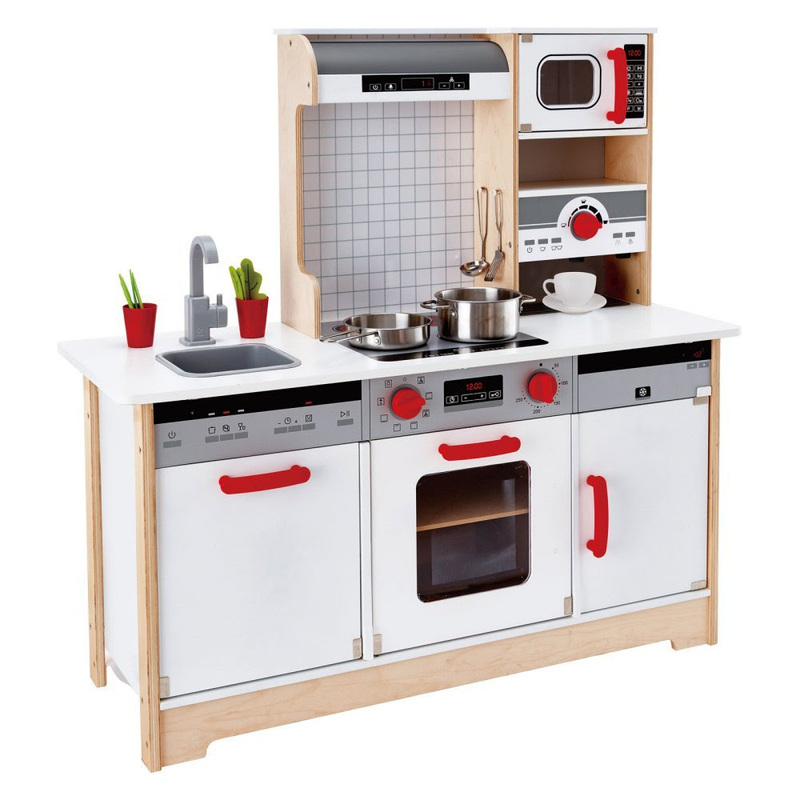 Whip up the perfect menu with this inspiring, all-inclusive play kitchen. The Delicious Memories Wood Play Kitchen features plenty of workspace and storage alongside adorable accessories to inspire your little ones to culinary excellence. The accessories include a pretend coffee maker, a dishwasher, oven and sink and many more! 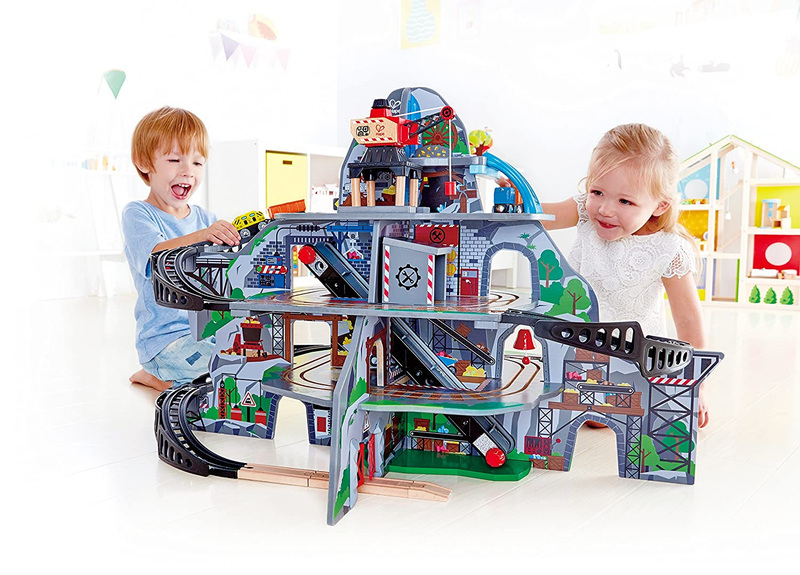 The timeless effect of wooden toys creates wonderful memories for both parents and children, and the Hape Mighty Mountain Mine will provide hours of non-stop play and fun! Start at the top of the mountain to load supplies into the train wagons, then wind your way down into the mine navigating your way past the different hazards, then use the conveyor belt to transfer your supplies up to the third level. 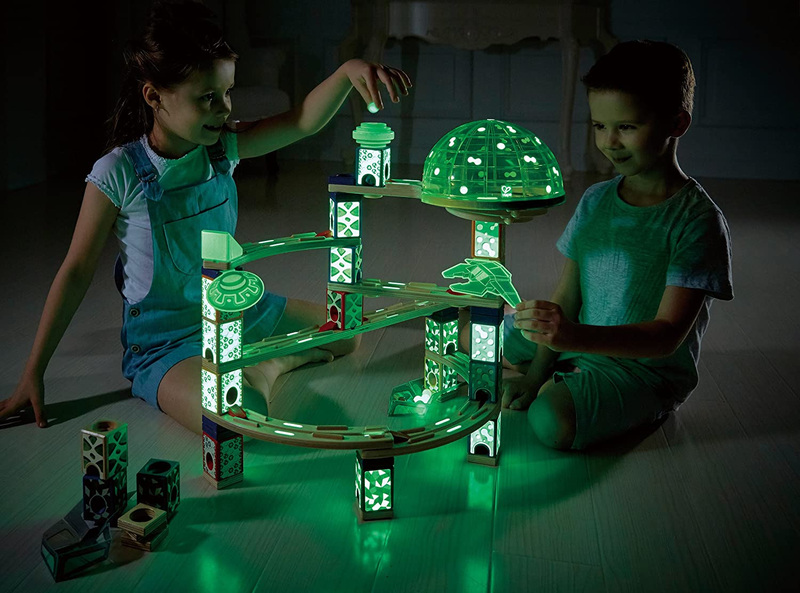 Experience the stellar power of a Quadrilla deep space marble run with the Space City by Hape! Launch your marbles through cosmic boosts and glow in the dark loops to see which is the speediest space traveller. Draw how you want to build your marble run and then build it according to plan!